﻿All over the world, there are such small fragments of primary forests facing a serious threat from human development. About 60,000-130,000 sq. km of these are being lost or modified through deforestation and conversion of forest land for agriculture every year (FAO, 2005). In a study conducted by National Academy of Sciences, the world’s forest cover shrunk by 3.1% between 2000 and 2005, that is about 1,011,000 sq. km, citing several causes including human cutting and natural phenomena such as wildfires (Hansen, Stehman & Potapov, 2010), although the difference between cutting and wildfires is that wildfires boost regeneration in many cases. This alarming rate of forest loss makes a direct, adverse impact on the biodiversity. About 50% of earth’s biodiversity is concentrated in only 6-7% of earth’s land area – the tropical forests (Stock & Rochen, n.a. ; Ravikanth, Shaanker & Ganeshaiah, 2000). 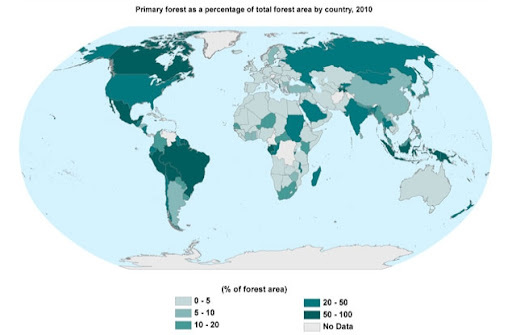 It is also here that most people rely directly on forest resources; hence it is disheartening to see that maximum loss of forest areas is occurring in countries having tropical forests, with 27% and 20.2% loss of tropical humid forests and tropical forests in dry regions respectively, from the overall forest loss (of 1,011,000 sq. km). These figures were recorded over the period of 2000-2005 (Hansen, Stehman & Potapov, 2010). As for 2005-2010 statistics, the above figure shows even dreadful numbers, with Brazil and Indonesia, the countries with largest, most diverse rainforests in the world leading the way for habitat destruction. Deforestation is a serious issue because it affects entire ecosystems. When forests are logged, it may take hundreds of years to fully recover the biomass, or it may never grow to that extent at all, as is true for rainforests. Deforestation by building dams, clearing for agriculture, animal husbandry and industrial development can lead to release of enormous amounts of stored CO2 into the environment. It leads to erosion, and the associated flooding. Many animals and plants are endangered today primarily because of habitat destruction. In 2009, WWF released an annual list of 10 most threatened species around the world, which includes 5 species inhabiting forests. India ranks 10th in the list of most forested nations, with the tree cover of about 20.6% of total geographical area of the country as of 2005 (Kishwan, Pandey & Dadhwal, 2009). This accounts for 1% of world’s forest area, inhabited by about 500,000 of the 10 to 30 million species on earth. 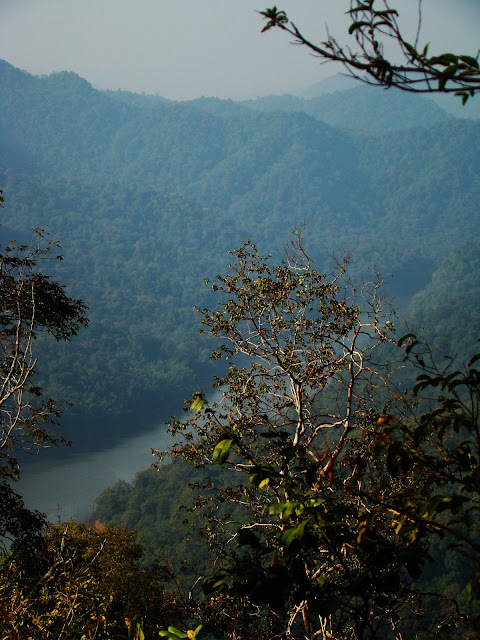 A study conducted to record the conservation status of forests in India reported that although the population is on a steep rise since independence (a four-fold increase), the rate of loss of forests has remained comparable to the pre-independence period (Ravikanth, Shaanker & Ganeshaiah, 2000). This has been attributed to the strong policy for forest protection and vigorous forest conservation campaigns. Besides the implementation of Indian Forest Act, 1927; there has been large scale afforestation projects carried out throughout the country. Although this was a great initiative towards revegetation and increasing carbon stocks stored in forests (Kishwan et al, 2009), these projects were a big failure in the name of reforestation because of lack of research and, probably desperation to increase the green cover. Afforestation was mostly carried out as extensive monocultures of exotic species such as Australian Acacia, which grow rapidly, but inhibit growth of other native plants. The native fauna has not adapted to the exotic forests either, hence the biodiversity of such forests is extremely low. Fortunately, the issue of exotic plantations has been addressed by the Forest Department, but the general public is yet unaware of the impact of exotic species on native ecosystems. Albeit the slow but gradual progress in sustaining forests in India, there is a constant threat from encroachment, illegal deforestation and poaching of wild animals that requires urgent attention. Canada has the second major repository of northern forests after Russia (Global Forest Watch, n.a. ), and ranks 3rd in the list of most forested nations. These Boreal forests store the equivalent of 27 years worth of global greenhouse gas emissions (IBCC, n.a.). Unfortunately, North America suffered the biggest forest loss during 2000-2005, of about 295,000 sq. km (Hansen, Stehman & Potapov, 2010). Canada is the world’s biggest timber exporter through logging, and is the key sector in Canada’s economy, leading to deforestation by extraction of timber, energy and mineral resources (Global Forest Watch, n.a.). The Tar Sands are also affecting Canada’s Boreal forests and its resident fauna. Tar sands oil development creates open-pit mines, habitat fragmentation, toxic waste holding ponds, air and water pollution. About 3,000 sq. km of forest and wetlands come under strip-mining, resulting in the loss of breeding habitat of about 480,000 to 3.6 million birds (Wells, Casey-Lefkowitz, Chavarria & Dyer, 2008). The Tailings ponds that hold many toxic pollutants such as naphtha, paraffin and by-products of petroleum leaches underground and into rivers, polluting aquatic as well as terrestrial habitats, ultimately affecting the overall health of the ecosystems (IEN, n.a.). When we look at the reasons for the decline in forests, there is only one that is truly destructive – population growth and increasing consumer demand, and the resulting deforestation. The two countries discussed above, among many others, share different habitats, and yet share similar threats. Hence, although there might be a little difference in how-to sustain these forestlands; international laws and policies must be strengthened to protect them by coordinating with one another to tackle the environmental problems on a global level, especially concerning import and export of forest and animal products. As the world population is set to touch 8 billion in 15 years, I cannot help but imagine the rate of deforestation going up and up, and with every percent rise, we are only acceleration our own demise, since we all, just like many other terrestrial animals, depend on forest resources either directly or indirectly. In order to raise awareness on sustainable management, conservation and sustainable development, the UN declared 2011 to be the International Year of Forests. This is a great initiative after the International Year of Biodiversity, with many programs at national and international levels developed to address the impacts of forest loss, to compel governments to take stringent actions against illegal deforestation, to encourage sustainable forest management, and create public awareness. What we as the citizens of the world can do is buy only sustainably harvested products that directly come from forests, such as paper and furniture and boycott goods that are produced by illegal deforestation, such as palm-oil, and invest in organizations actively engaged in sustainability and environmental management. After all, whether we live far from any forest, our life is still completely dependent on it – not because our clothes and chair are made from the trees, but because the very air we breathe comes from it. Great post Aniruddha! We all should play our role to educate people regarding the importance of forests.